olidays always bring thoughts of vacation and travel to us. From families gathering from all over the country to winter getaways in tropical locales, 'tis the season for making memories through experiences and thoughtful gifting! 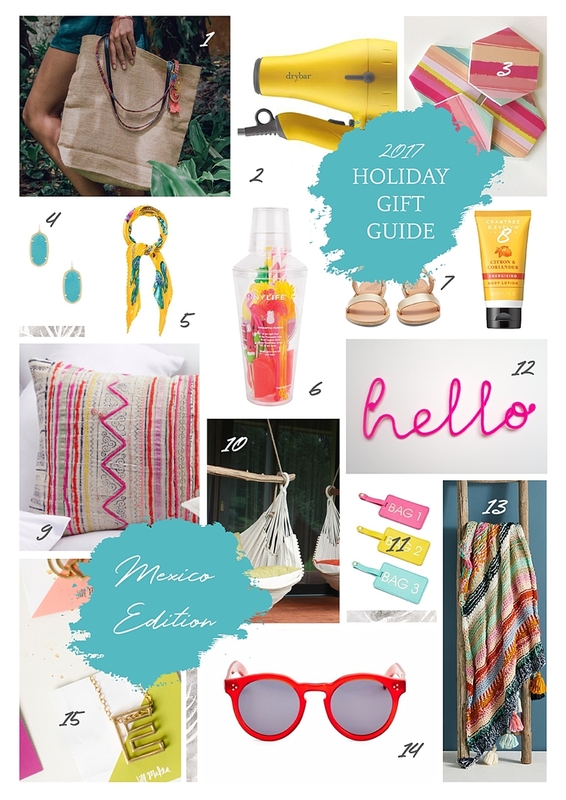 And we wouldn't be travel lovers if we didn't put our own destination spin on holiday gift guides! Since we think there are two kinds of gifting people: perfectly crafted, researched, and curated presents pro or "I'm going to wait for the very last minute to go shopping" aficionado, we like to think we have created a midpoint between the two with our 2017 gift guide collection! This year for Travels, we have designed three country-inspired gifts for your fellow wanderlusters with Mexico, Kenya, and Iceland in mind. Enjoy and may the travel bug bite you in the most festive kind of way! 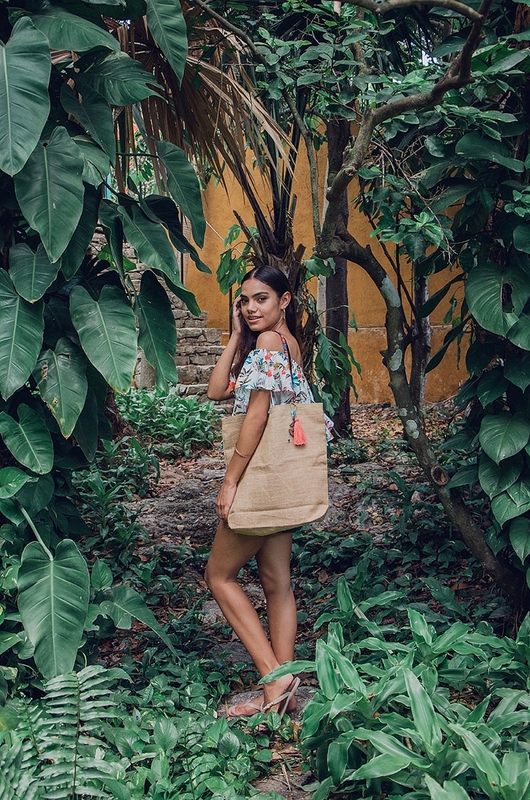 Bright, colorful, and warm, these Mexico-inspired goodies are perfect for the perma-summer personalities who enjoy fresh cocktails by the pool, lounging in the sun, and trendy vibes. From citrus-scented travel lotions to geometric earrings of turquoise, there's a little something everywhere in this guide to remind us of tropical heat during our winter months. 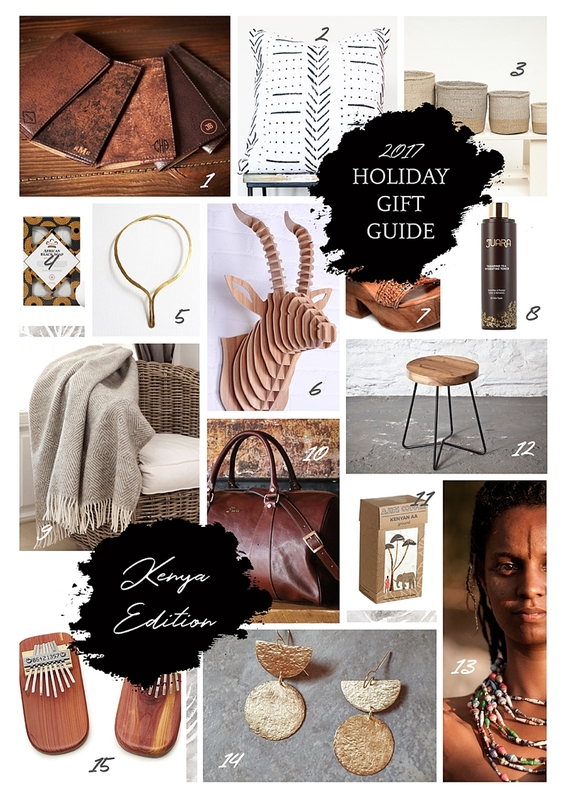 Rustic, eco-friendly, and earthy beauty, these Kenya-inspired gifts hone into tribal aesthetics. Many of our picks are from Kenya, are Kenyan made, or contribute to African non-profit organizations (like those paper beads!). So for those who live with an eco-conscious mantra, prefers charitable gifting, and loves neutral color palettes in their home, this gift guide is one to shop and pin! Cozy, rugged, and chic, these Iceland-inspired presents give love to the chillier climates which are perfect for the winter holidays! It was just meant for Christmas and all things snowy. 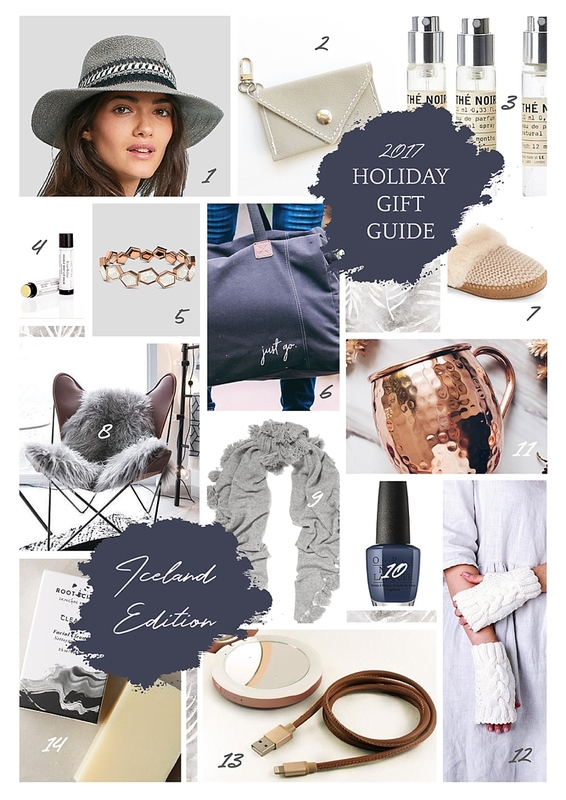 From portable chargers in compact form to sweater-designed wool hats, we had those who love cuddling on the couch in front of the fireplace and trekking in the white-dappled wilderness in mind with this navy blue and gray palette of a gift guide. For our other curated collection of 2017 Tidewater and Tulle Holiday Gift Guides, head over to our Weddings section for gifts for the couple, gifts under $25, and gifts inspired by Pantone's Greenery.